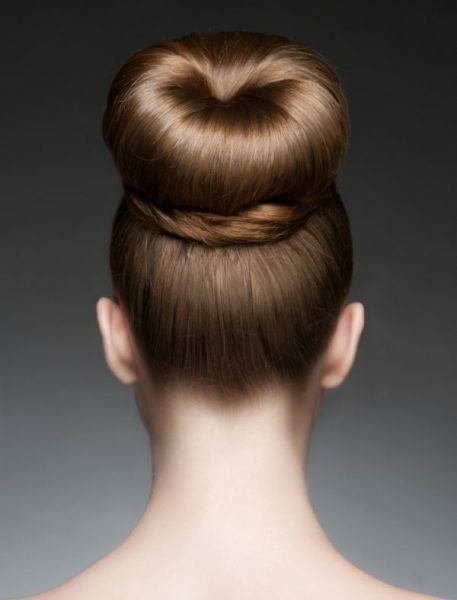 We love this simple hairstyle because it’s cute and it protects your hair from tangling. Simply pull hair to the side, loosely braided, and secure with a hair tie. It doesn’t have to be perfect – you can re-braid it throughout the day if needed. This easy chignon updo only looks difficult. Place a stretchy headband on top of your hair, circling the crown. Pin into place at the nape of the neck. Next, wrap sections of hair around the headband, tucking in the loose strands. Add a couple of pins for extra hold, and that’s it! We found this one-minute how-to video. There’s no doubt about it: healthy, strong hair is much easier to style than hair that’s weak and prone to breakage. Taking Viviscal hair growth supplements twice a day provides your hair follicles with all the vitamins and minerals they need to grow healthy, gorgeous hair. * If your hair naturally looks gorgeous, that’s less work for you in the morning! You can also cut down on styling time by applying dry shampoo going to sleep. This helps absorb greasiness overnight, so you wake up with fresh hair and gorgeous texture.